The mechanism by which cells organize into tissues is fundamental to developmental biology and tissue engineering. Likewise, the disruption of cellular order within tissues is a hallmark of many diseases including cancer and atherosclerosis. Tissue formation is regulated, in part, by a balance between cell–cell cohesion and cell–extracellular matrix (ECM) adhesion. Here, experiments and approaches to alter this balance are discussed, and the nature of this balance in the formation of microvasculature is explored. Using matrices of tailored stiffness and matrix presentation, the role of the mechanical properties and ligand density in angiogenesis has been investigated. Decreasing cell–matrix adhesion by either reducing matrix stiffness or matrix ligand density induces the self-assembly of endothelial cells into network-like structures. These structures are stabilized by the polymerization of the extracellular matrix protein fibronectin. When fibronectin polymerization is inhibited, network formation does not occur. Interestingly, this interplay between substrate mechanics, ECM assembly, and tissue self-assembly is not limited to endothelial cells and has been observed in other cell types as well. These results suggest novel approaches to foster stable cell–cell adhesion and engineer tissues. Associate Editor Scott I Simon oversaw the review of this article. 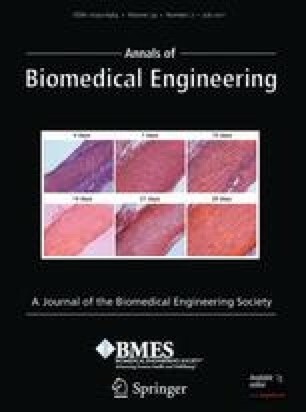 This paper is based on the 2010 Rita Schaffer Memorial Lecture that I presented in October 2010 at the Annual BMES Meeting in Austin, TX. The Rita Schaffer Young Investigator Award is given annually “to a young investigator whose originality and ingenuity in a published work are recognized by the Awards Committee.” I was nominated, in part, for work performed by my graduate student, Joseph Califano, published in Cellular and Molecular Bioengineering.3 I have been told that the success of a young independent investigator often depends on the success of the first one or two graduate students to join the lab. I am grateful to have so many talented graduate students, including Joe, in my lab while so early in my career. My path to an independent career has been paved by excellent mentoring I have received throughout my training. As an undergraduate at MIT, I had the privilege of working in Doug Lauffenburger’s lab under the direct supervision of then graduate student, now associate professor, Anand Asthagiri. Experiencing the excitement for research cultivated in the Lauffenburger Lab initiated and solidified my own decision to pursue a career in academia—the enthusiasm was contagious. As a graduate student at the University of Pennsylvania, I worked with Dan Hammer. Dan’s keen physical insights and mentoring style inspired success, and I am extremely grateful for having had the opportunity to receive my PhD under his guidance. While a graduate student, I was a visiting scholar at the University of Rochester in the lab of Rick Waugh. Despite not being one of Rick’s students, he treated me like one of his research-family and I am thankful for his generosity. As a postdoctoral associate, I worked at the University of Rochester School of Medicine and Dentistry at the Aab Cardiovascular Research Institute under the guidance of Brad Berk and Keigi Fujiwara. Working in a center focused on cardiovascular health exposed me to research problems tied very closely to human disease and truly helped me stay at the interface of biology, medicine, and engineering. Each one of these research experiences has shaped my scientific abilities and inspired my career. My hope, going forward, is that I can inspire my own students in the same way my mentors have inspired me. I would like to thank the following agencies for funding our research: the National Institutes of Health, the National Science Foundation, the American Heart Association, the American Federation for Aging Research, and the Cornell Nanobiotechnology Center. The author declares no conflicting or competing interests.